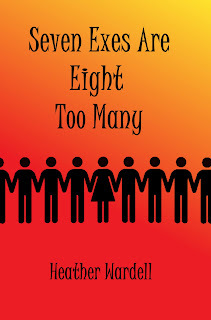 I am releasing "Seven Exes Are Eight Too Many" shortly, and for the first time I'm doing a paper version as well as electronic. I've decided to go with Amazon's CreateSpace for this. Once I had the book all set up, they required me to order a proof copy. It arrived on Wednesday, and while I'm thrilled with how the cover looks I was disappointed that the pages and cover didn't seem to be cut quite straight. The book has a slight but obvious tilt, like it's been drinking. Since as far as I know my books are not drunks, I figured something was wrong. It became even clearer something was wrong when Mr. W pointed out that the "ISBN" number on the back cover was labelled "IS N". Hmm. We debated whether this was some secret code, and he in fact suggested that maybe EVERY book is missing that B and we'd never noticed, but this turned out to be false. 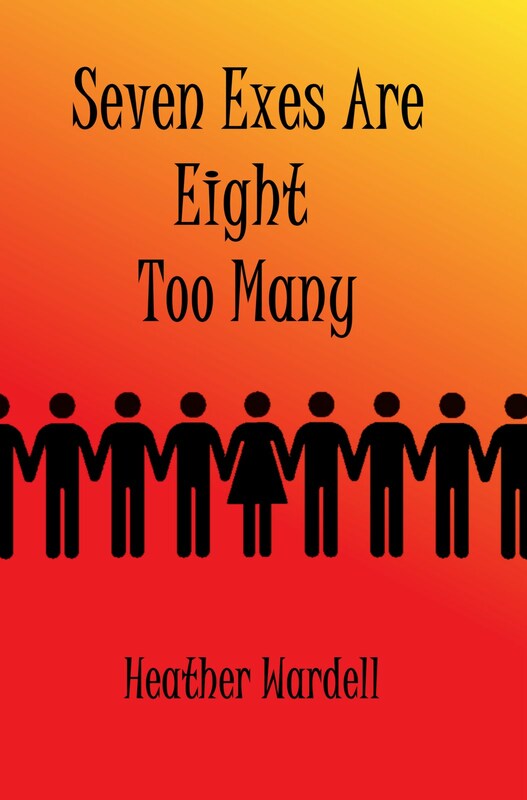 I emailed CreateSpace, explaining that if these were one-time glitches I wasn't worried but that I didn't want to approve the book if these problems would continue. Today, I received a response that they were sending me a new proof by priority mail and that they would continue to investigate what had caused the error. These days, you often can't get a response at all from a corporation, and when you do it's frequently a form letter that doesn't remotely address your issue. (I was half-expecting an email that said, "An ISBN number is a book's identification number" or something like that.) I'm really impressed with CreateSpace's quick and useful response, and with any luck the new proof will have all its letters in a (fully vertical) row. For a bit of eye candy, here's the cover! I'm really pleased with how it came out, and it actually looks really sharp in print. I finished the planning for the second draft of Blueberry today, adding ten new scenes and approximately 3.8 million little notes to myself about what to change where (okay, not quite, but it feels like it!) and Monday morning I will be launching into that. I plan some web site updates this weekend, but will also take time out to watch Chuck Liddell and Rich Franklin's UFC fight. I like both guys, so I'm not quite sure who I want to win. But I AM sure it'll be a great fight!